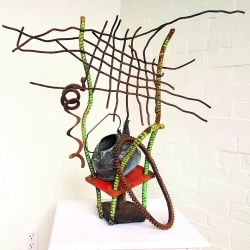 WIAC Artist Rob Mull, Awarded at "Art of the State"
Walk In Artist, Rob Mull’s, piece, “Ask Alice” was awarded second prize in sculpture at the 2018 51st Annual Art of the State Juried Exhibition at the State Museum in Harrisburg. 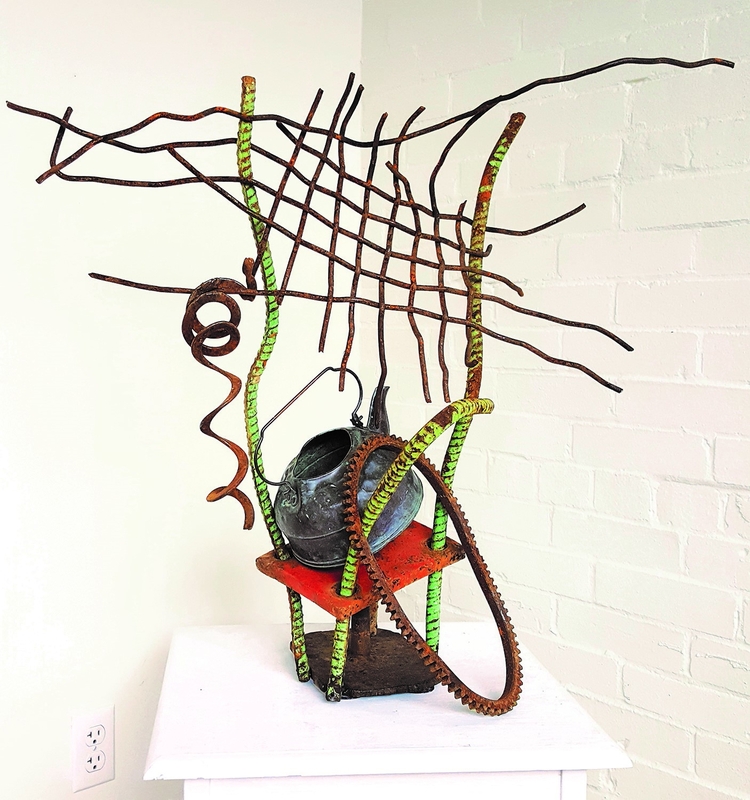 Schuylkill County, USA – July 9, 2018 — Rob Mull, Member of the Walk In Art Center’s Artist Association, was awarded second prize in sculpture at the 2018 51st Annual Art of the State Juried Exhibition at the State Museum in Harrisburg for his assemblage piece “Ask Alice.” Art of the State is co-presented by The State Museum and Jump Street. The exhibit runs through September 9th and includes 103 works of art by 99 artists from 27 counties. Finalists were selected from 1,850 entries by 839 artists.